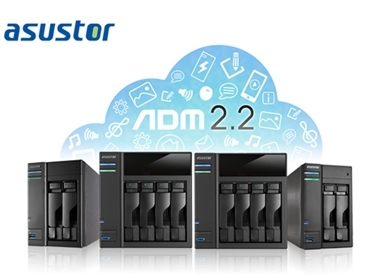 Leading provider of network storage solutions, Asustor NAS has released the official version of ASUSTOR Data Master (ADM) 2.2 for all of its NAS devices. In addition to the features released in the beta version, the official version of ADM 2.2 will also include a beta version of the Mail Server App, the HiDrive cloud storage service App and support for external optical drives. Steve Huang, Product Manager at ASUSTOR commented that the official version of ADM 2.2 was launched after considering the feedback and input provided by users on the beta version, and making the necessary revisions. While the Mail Server App featuring encrypted transfers and scheduled backups for email is a must-have for enterprise users, the external optical drive support allows users to connect an external optical drive such as CD, DVD or Blu-ray to their NAS device via USB and then use File Explorer to directly access any files that they have backed up to optical media and even transfer files from optical media to the NAS via drag and drop. ADM 2.2 is available for all ASUSTOR NAS devices, enabling users to enjoy more comprehensive cloud functionality than before along with a host of new add-on Apps from App Central. The AiFoto mobile app designed to allow users to sync, manage and browse photos on their NAS from the convenience of their mobile devices, will also be released soon. New functions in ADM 2.2 include Night Mode scheduling; hard disk hibernation indicators; multilingual username support; more advanced UPS functionality; and support for external optical drives (CD, DVD, Blu-ray).